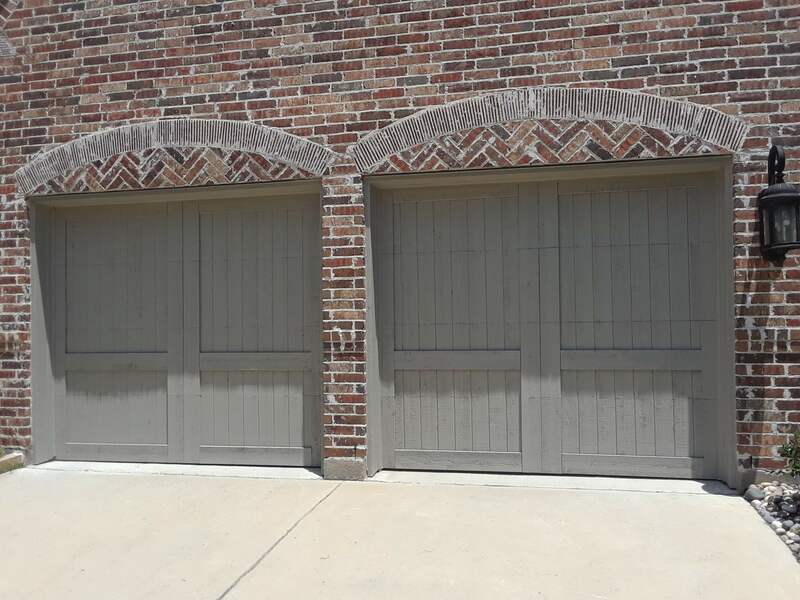 Add Elegant Style to your home with a custom-designed and hand-crafted Cedar wood overlay garage door from Reliant Overhead. 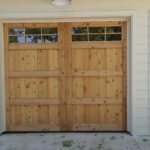 These high quality doors will improve the value of your home with an artistic look and a sturdy energy efficient design construction. 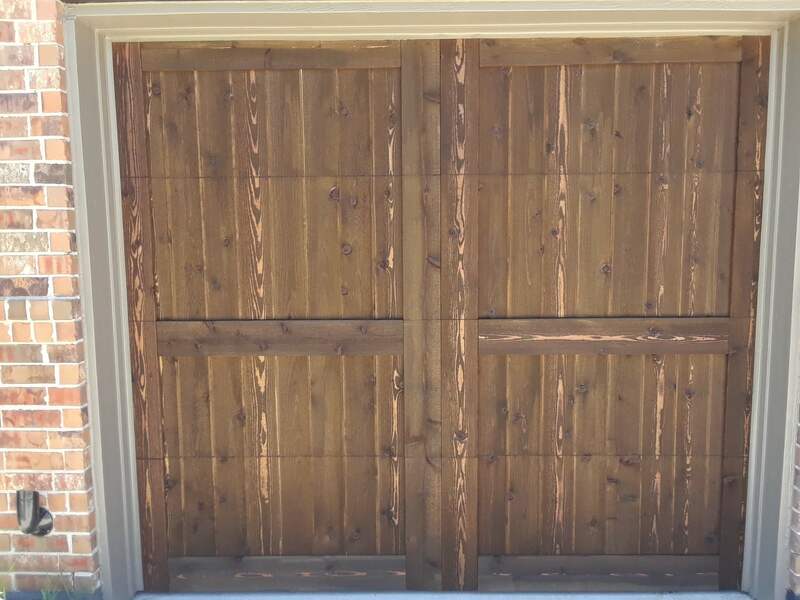 Enhance your cedar garage door with decorative hardware like spades, handles, knockers, ring pulls, and nail studs. Available in thin steel and wrought iron. 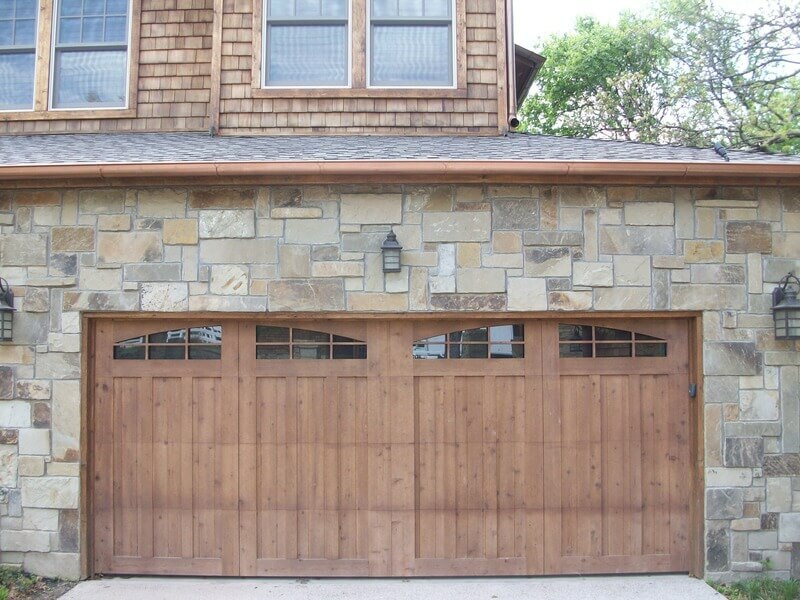 Various window patterns available to add distinction to your cedar garage door. Options include glass, acrylic, fosting, tinting, etc. 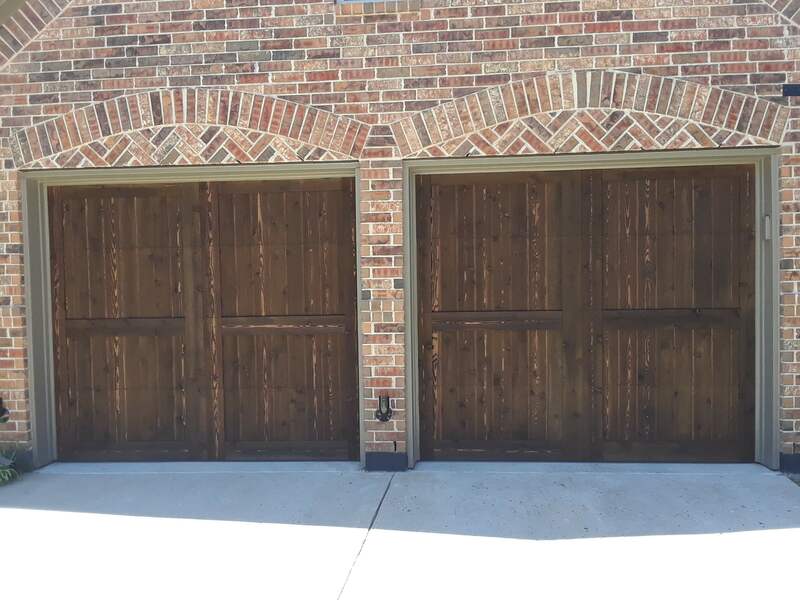 3 1/2" in total thickness, cedar wood is chemically bonded and mechanically fastened to a 2" thick 24 gauge galvanized commercial steel frame ensuring a long-lasting garage door that won't prematurely warp, buckle or fall apart like all-wood doors. 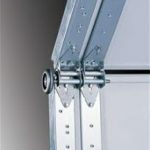 Polystyrene foam insulation with a vinyl-backed protective coating is applied to steel frame to increase energy efficiency. 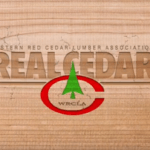 Reliant pays a little more for Choice Real Cedar planks that look great and lasts longer. 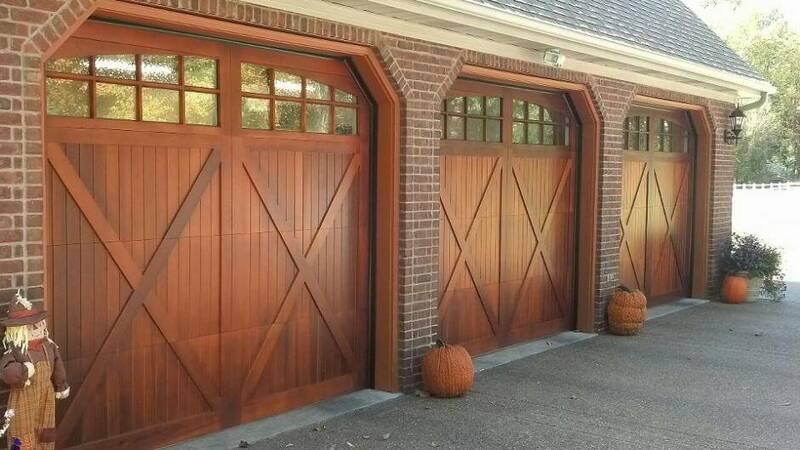 Our Cedar Overlay Garage Doors are built by us in our warehouse. 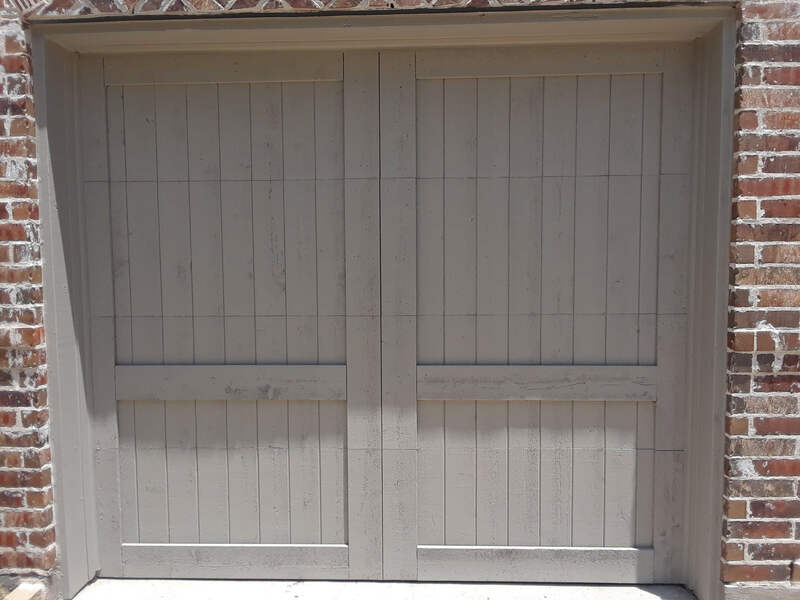 This ensures a quality, custom built garage door that we can stand behind with pride. This also saves the customer eliminating middle-man distribution costs. Book an Appointment Today for Onsite Consultation! 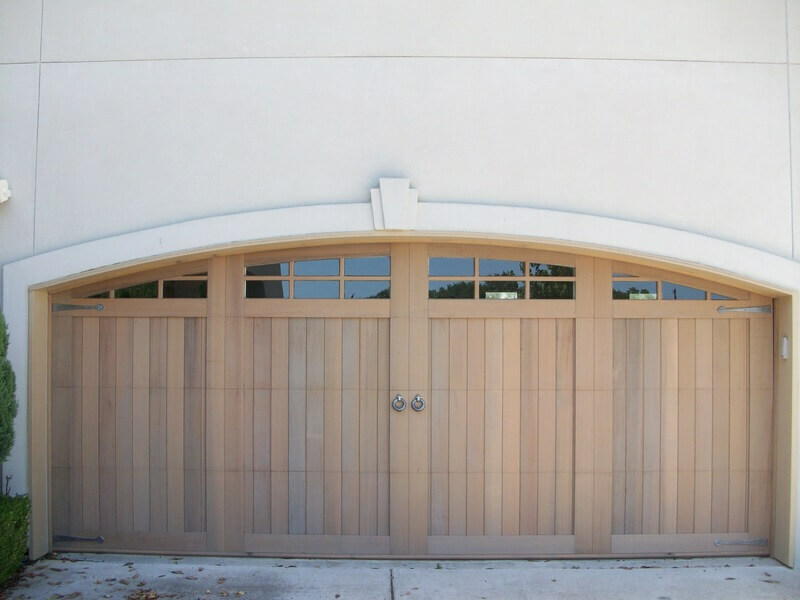 Each door is custom crafted for your home. 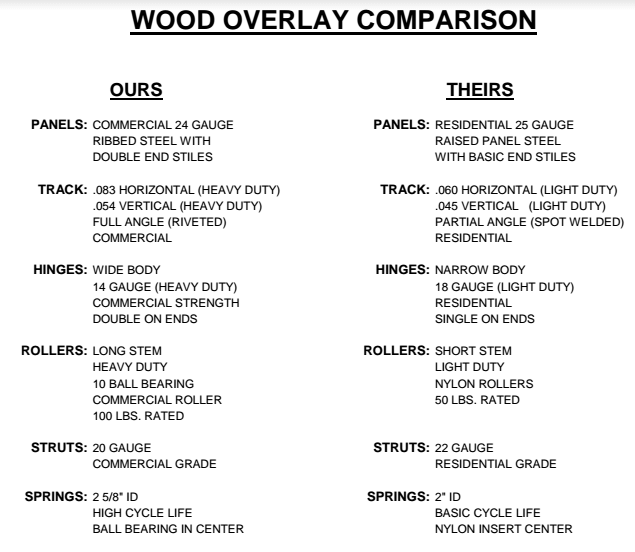 Choose from over 80 different wood patterns. 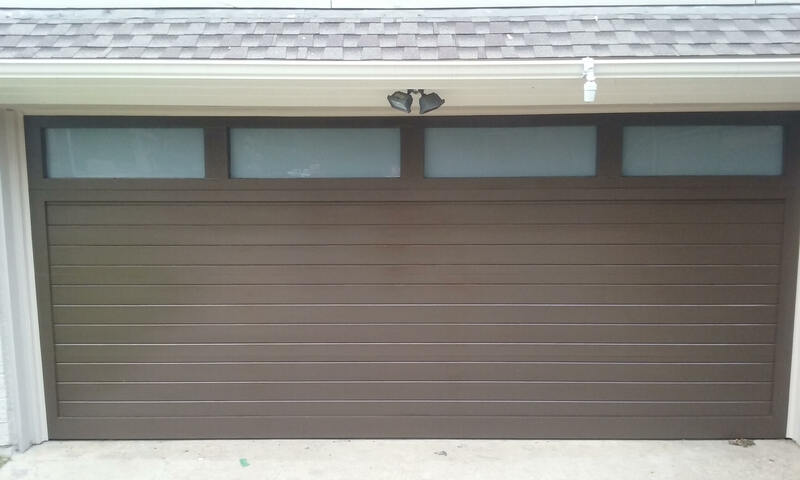 Choose optional metal door hardware (hinges, handles) to enhance your garage door. 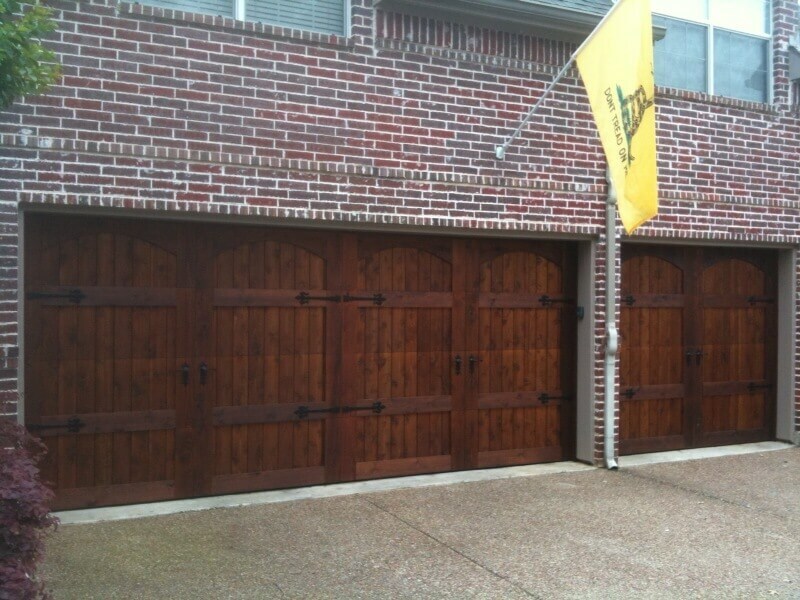 Each door can be weather sealed and custom stained with colors to match your home. Choose from a rough or optional smooth finish. 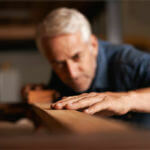 Enhance your custom wood door with optional windows. 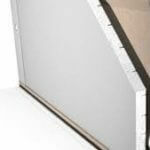 Many window styles available that can be clear, frosted or tinted. 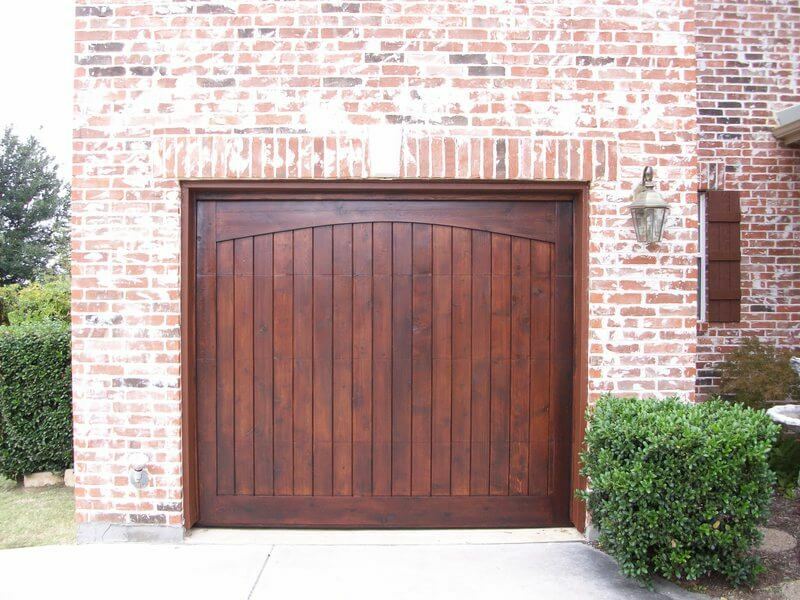 Reliant Overhead offers top quality custom-designed cedar overlay doors which are superior to most offerings in the market today. Our installation also comes with a 1-Year Installation Service Warranty.